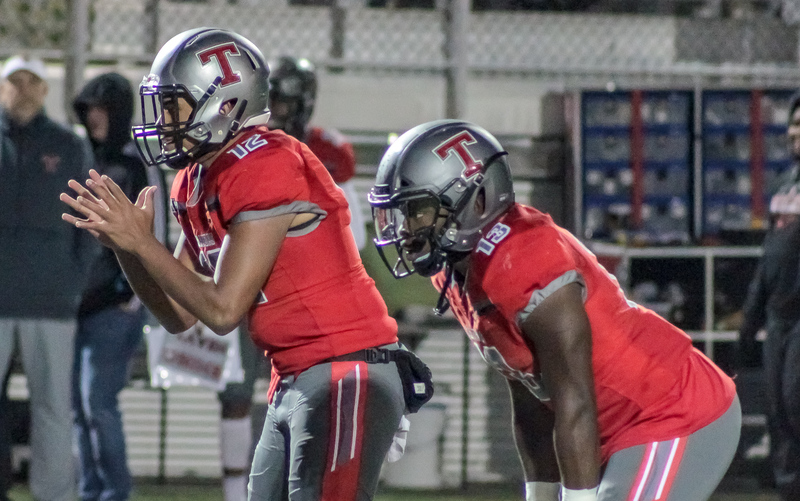 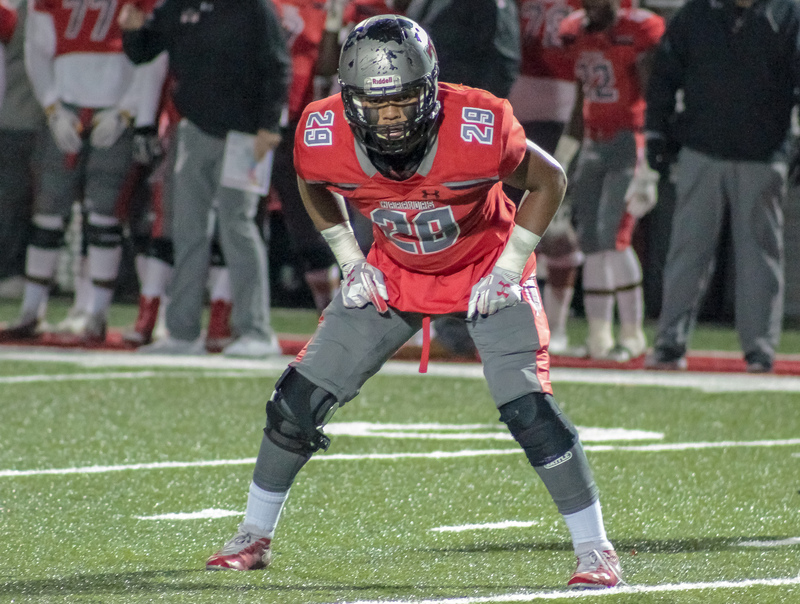 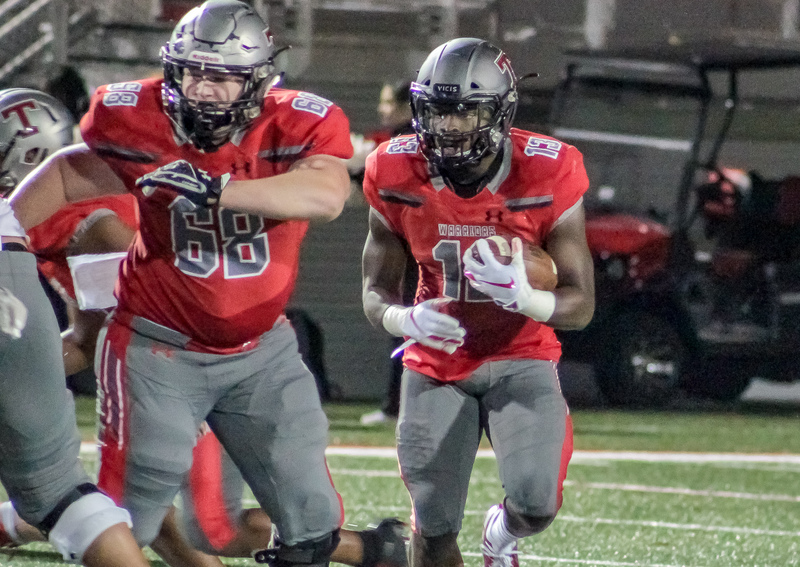 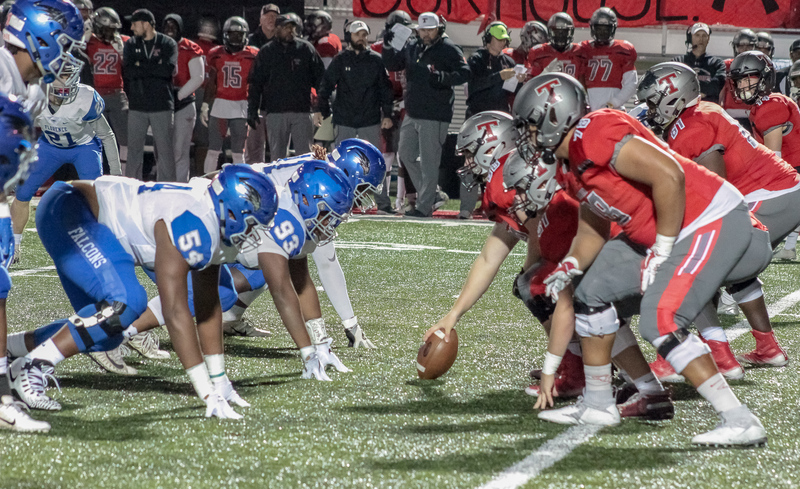 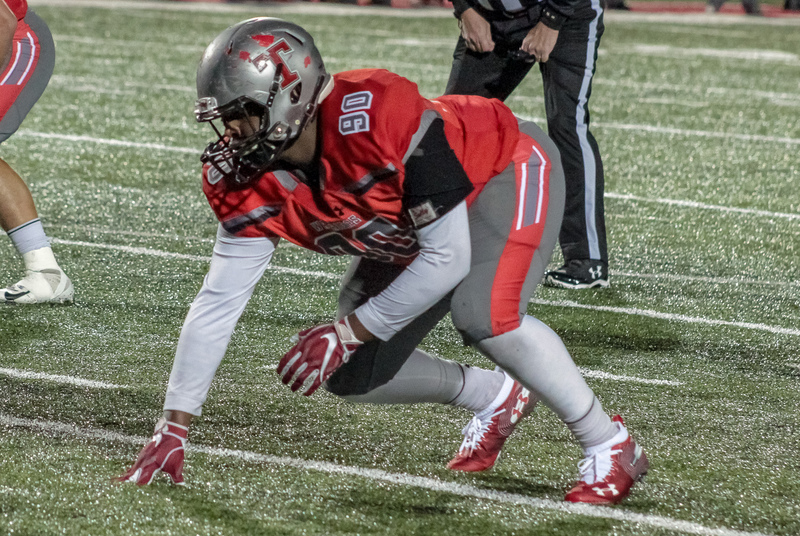 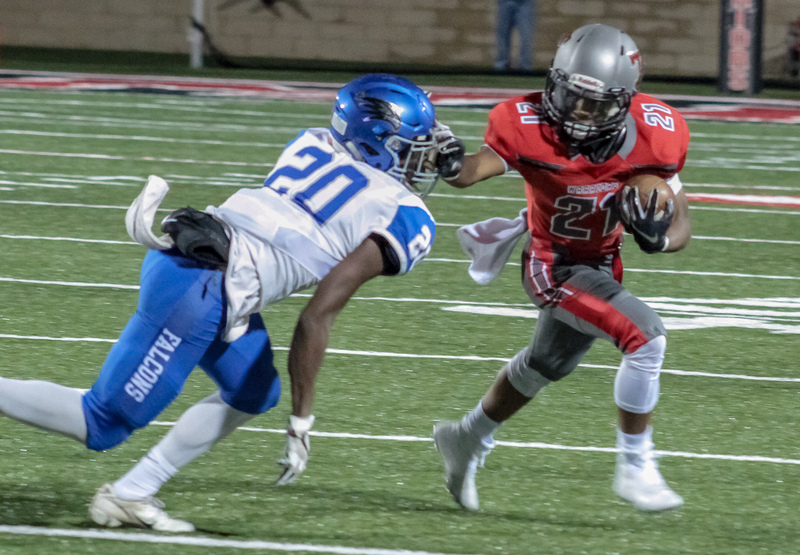 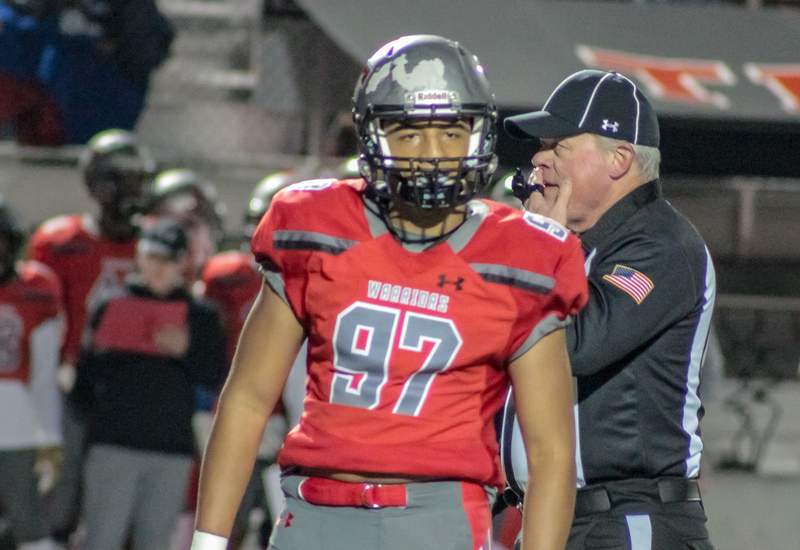 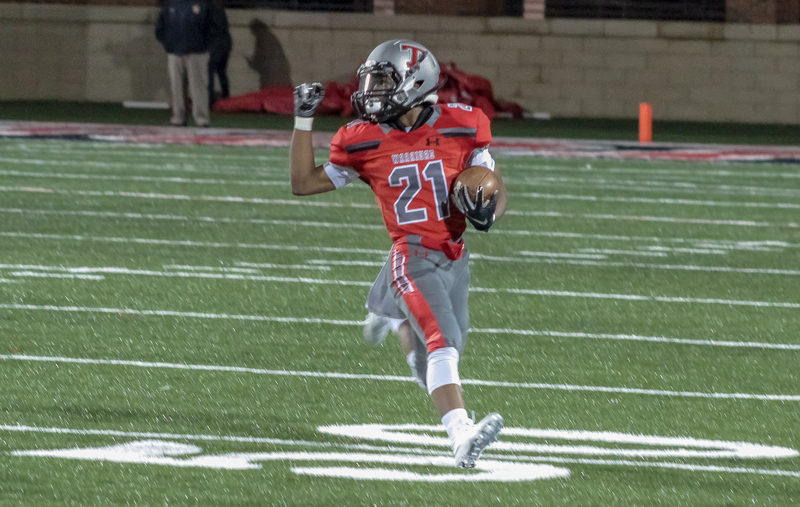 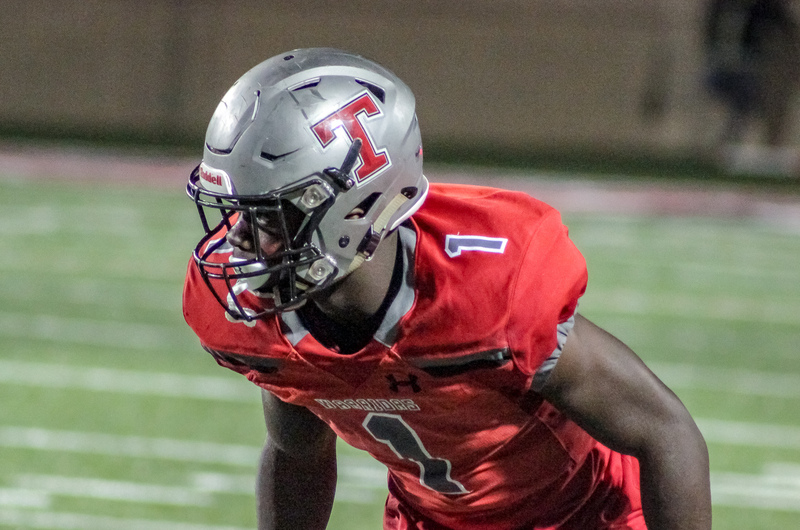 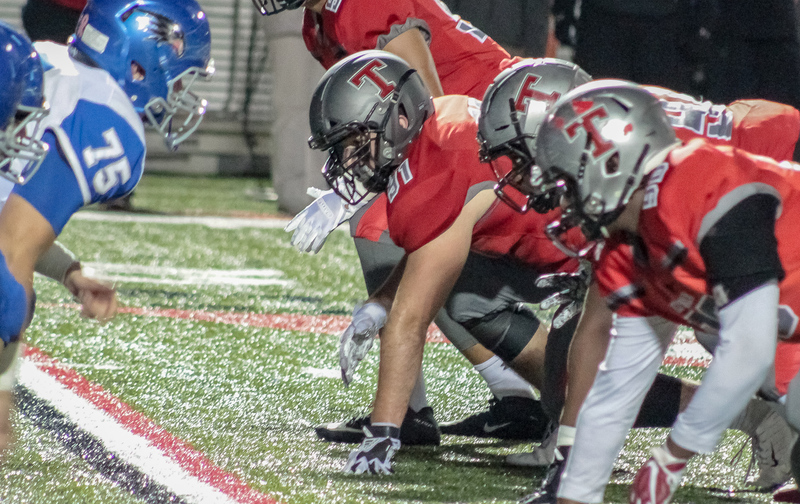 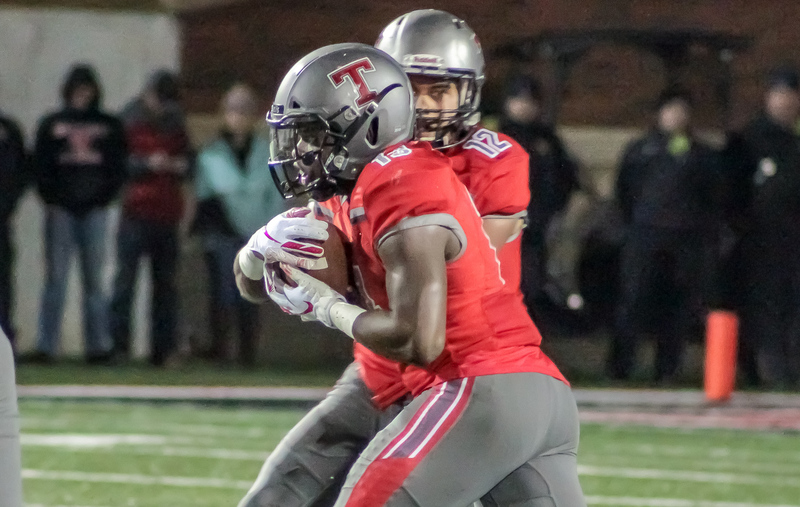 Alabaster, AL – The Thompson Warriors (9-1, 6-1) extended their season to the quarterfinals of the AHSAA 7A playoffs with a 45-14 thumping of the Florence Falcons (5-6, 4-3) Friday night in the first round of the postseason at Warrior Stadium. 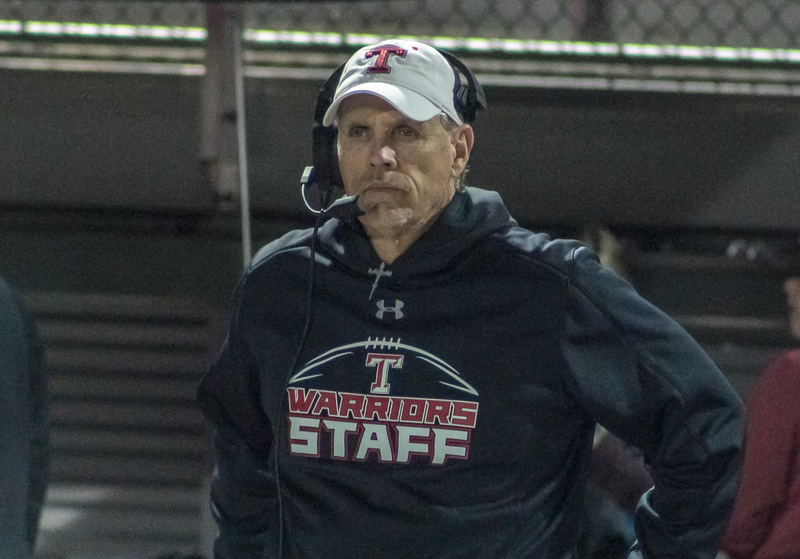 Mark Freeman’s Warriors took charge early as Jalen Bustamante picked off the first his two interceptions of the night five plays into the Falcons opening drive. 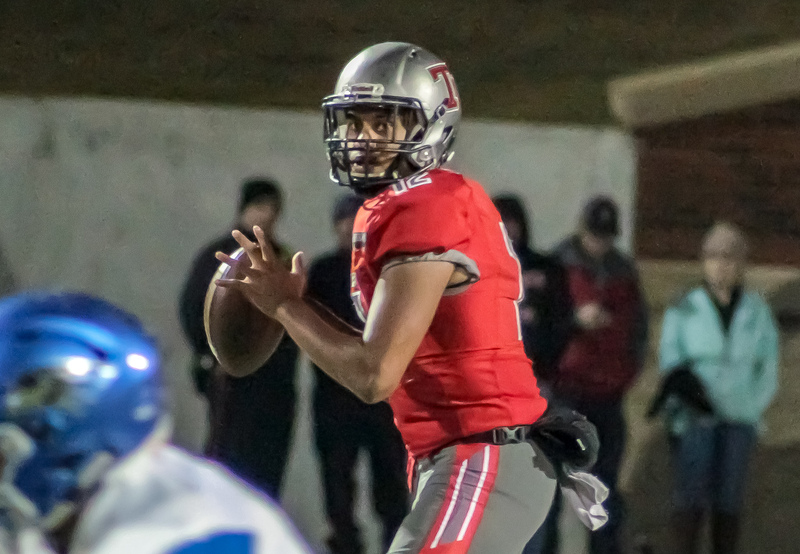 The INT set up a Taulia Tagovailoa to Kyle Smoke scoring strike from just inside the Falcon 40 to put the Warriors up 7-0 early in the first. 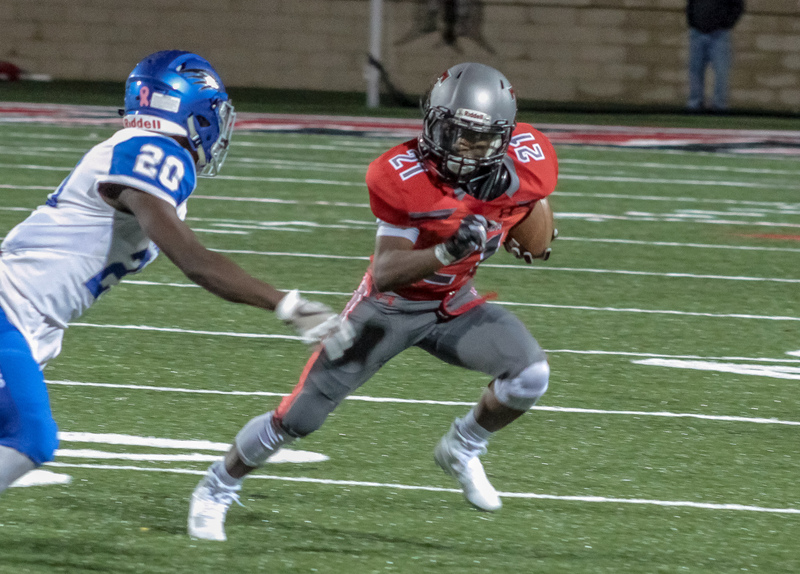 Running back Shadrick Byrd punched the ball in from inside the 10 later in the opening quarter to put the Warriors up 14-0 with three quarters to play. 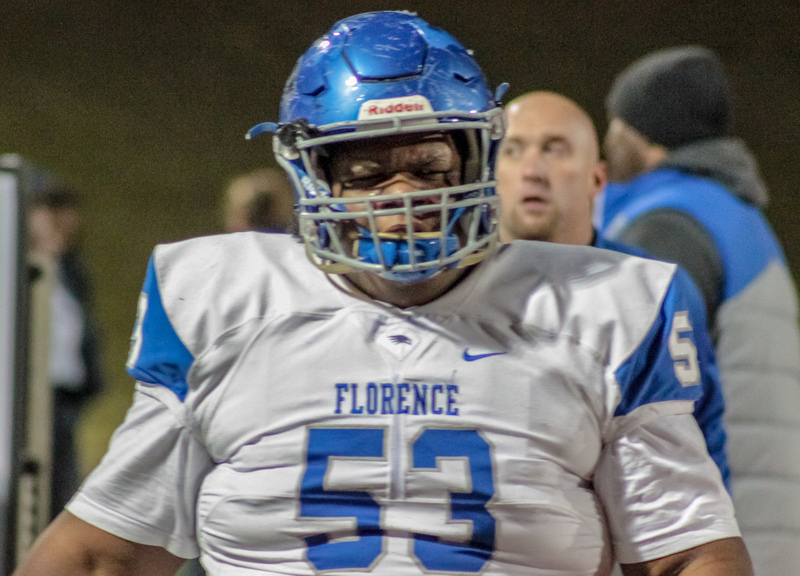 Florence running back Jakailar Coleman punched the ball across the goal line to pull the visitors within a score midway through the second quarter until Thompson kicker Evan McGuire split the uprights from just inside the Florence 20 with time expiring on the first half. 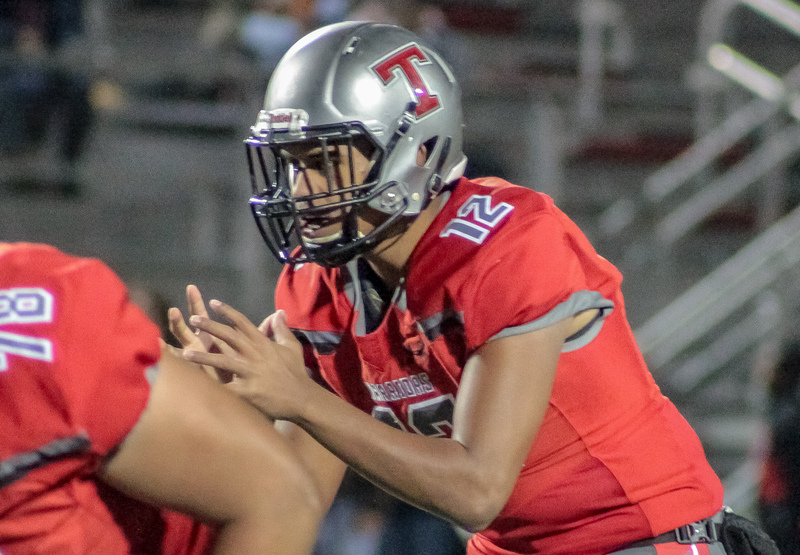 After the break the Thompson offense took control as Tagovailoa capped the Warriors opening drive with a 30 yard scamper into the endzone giving Thompson a commanding 24-7 advantage. 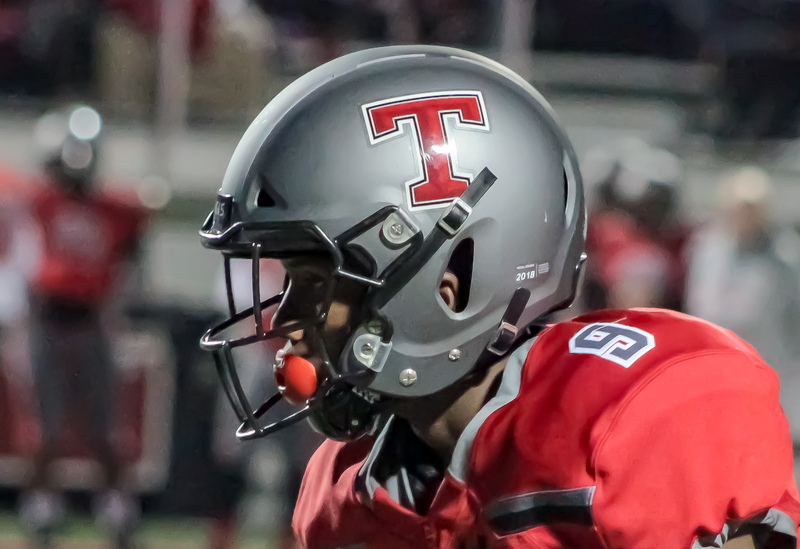 Thompson’s Nathan Crocket added the first of this two rushing scores from inside the Florence five to cap the third quarter at 31-7. 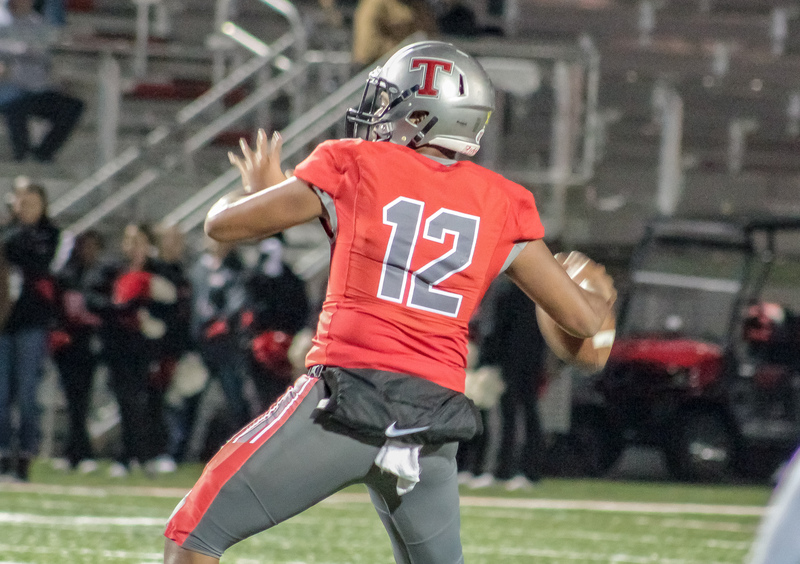 Three minutes into the fourth Thompson receiver Ryan Pippens took his turn adding to the Warrior Stadium scoreboard taking a Tagovailoa handoff 20 yards into the endzone. 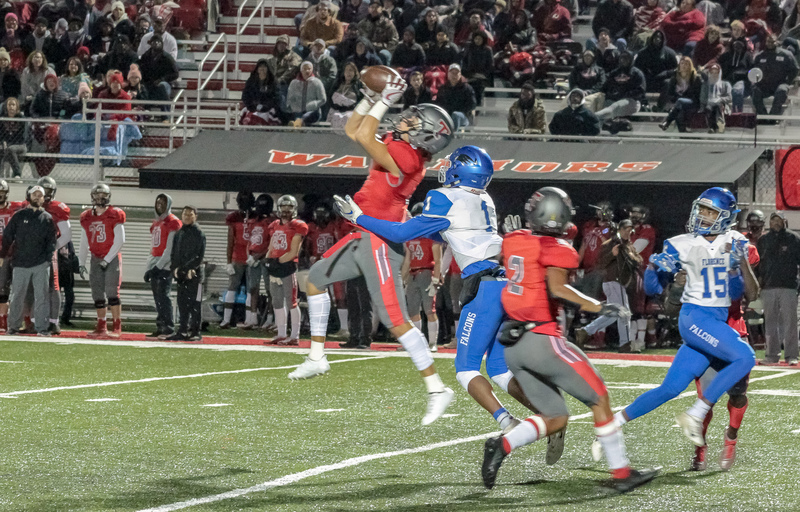 Crocket added his second TD five minutes later to extend the Warrior lead to 45-7. 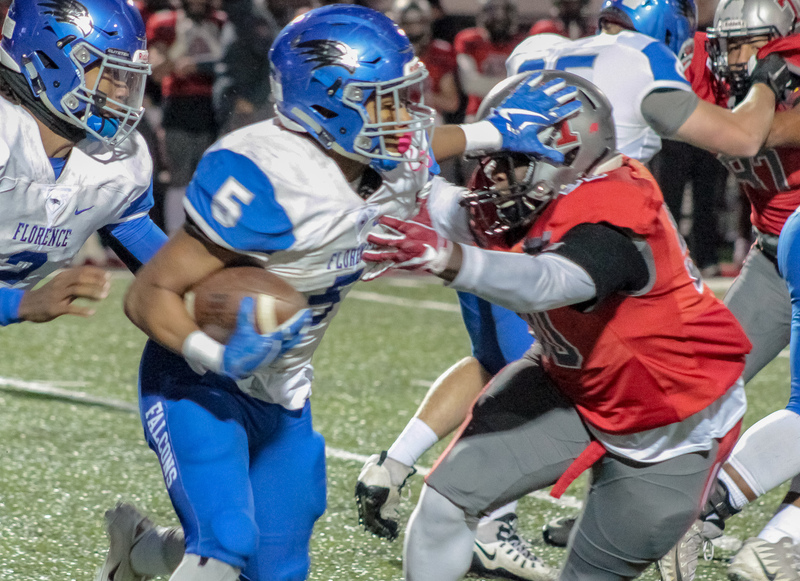 Florence added their second and last score of the night with seconds remaining as Lester Conrad hauled in a Beckweth pass from 10 yards out to cap the contest at 45-14. 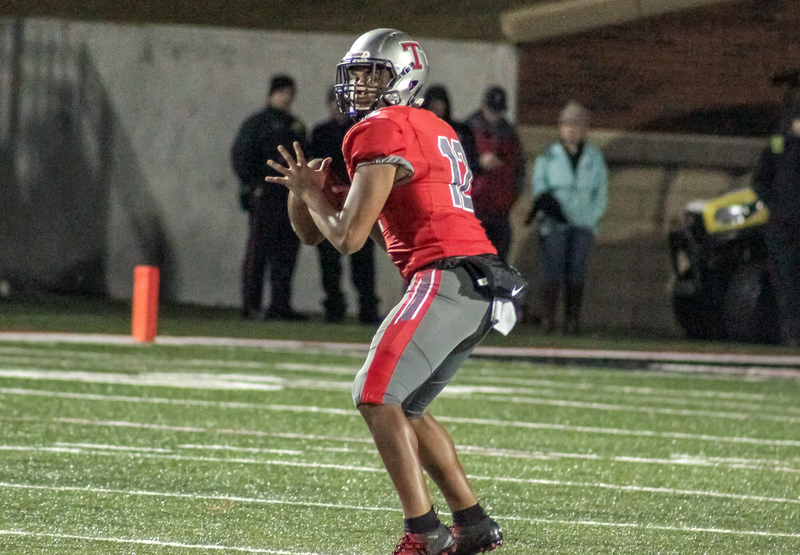 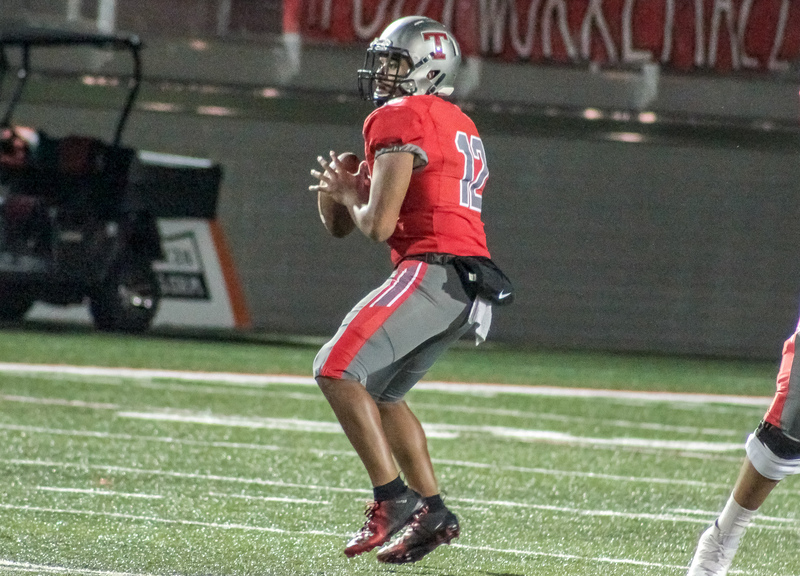 Thompson signal caller Taulia Tagovailoa completed 12 of 26 passes for 225 yards and a pair of touchdowns through the air while carrying the ball nine times for 93 yards and a score on the ground. 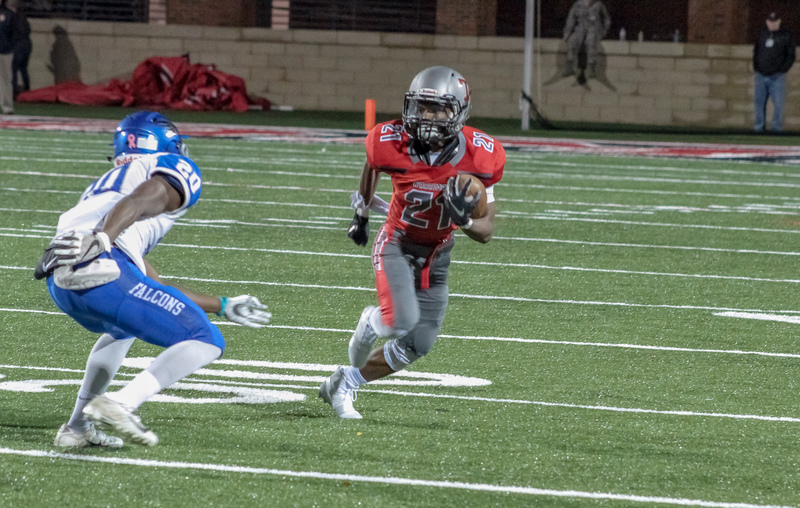 Running back Shadrick Byrd carried the ball 12 times for 60 yards and a score while J.B. Mitchell lead the Warrior receiving corps with four grabs for 75 yards. 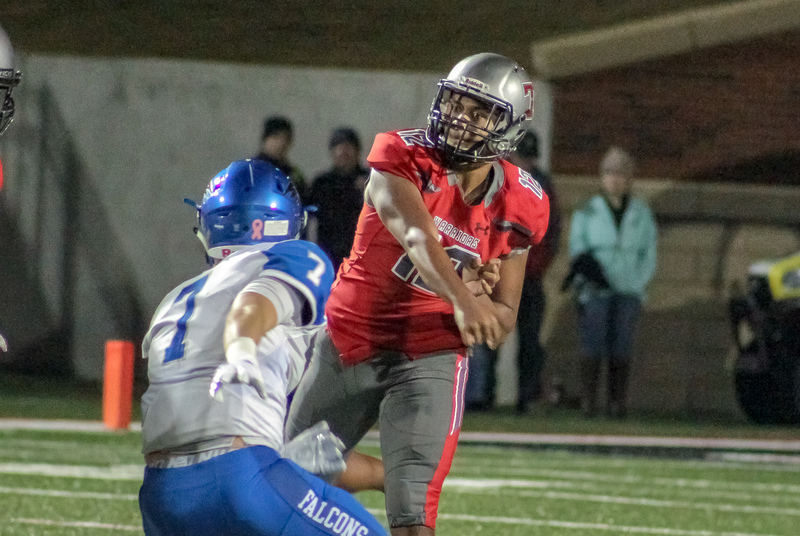 Florence was lead by quarterback DaMarcus Beckwith who connected on 5 of 12 attempts for 91 yards through the air and one score while rushing for 63 yards on 18 carries. 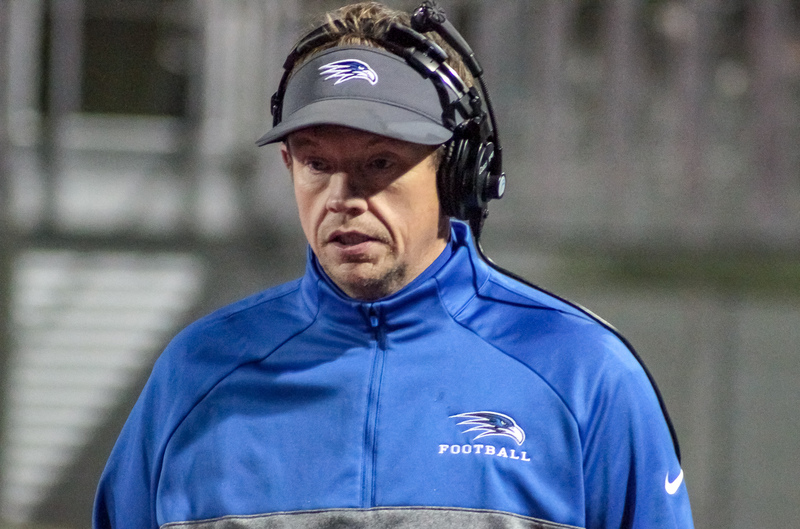 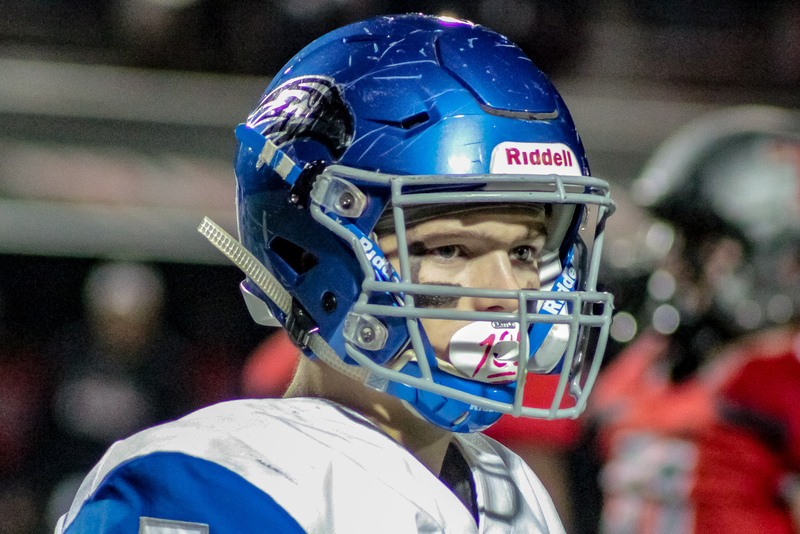 The Falcons closed out head coach Will Hester’s first season at 5-6, notching wins over region rivals Bob Jones, Huntsville, Grissom and Sparkman. 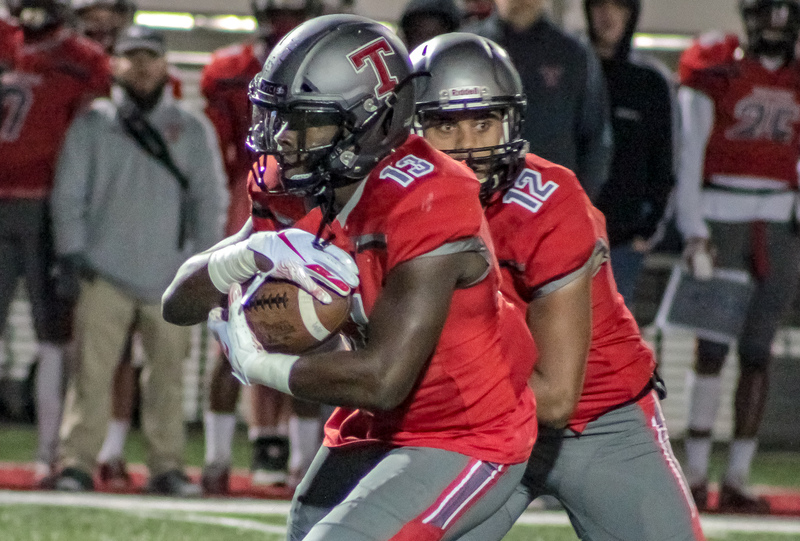 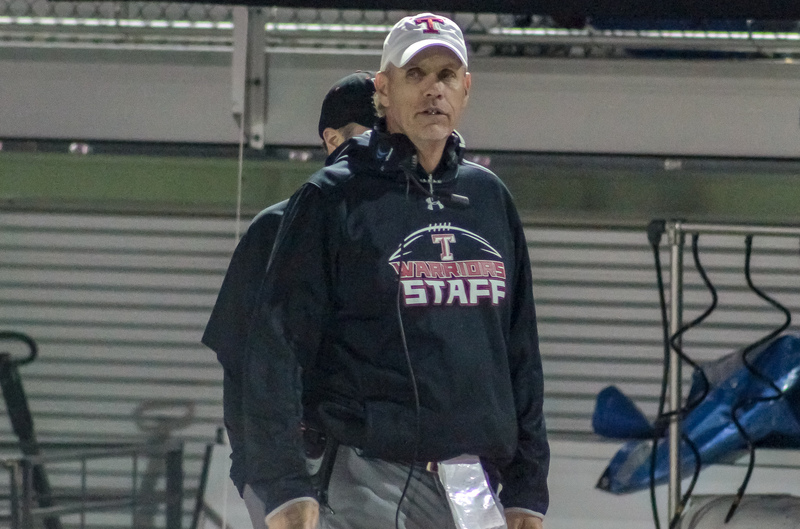 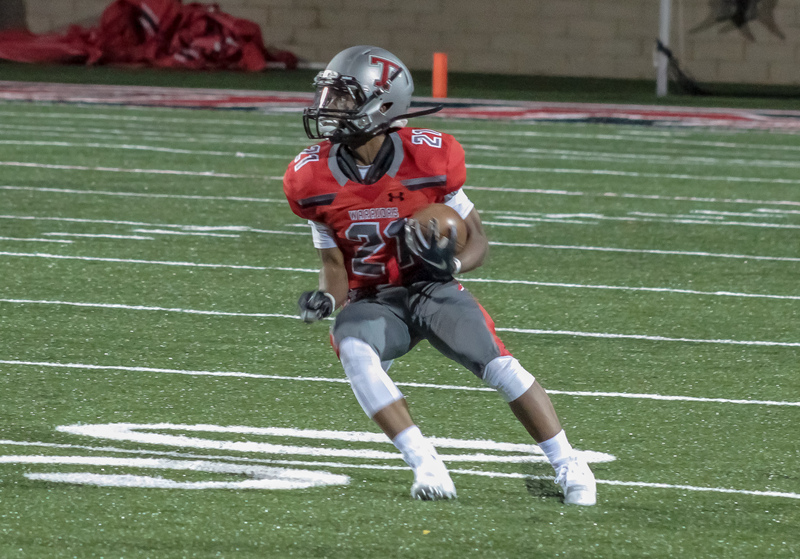 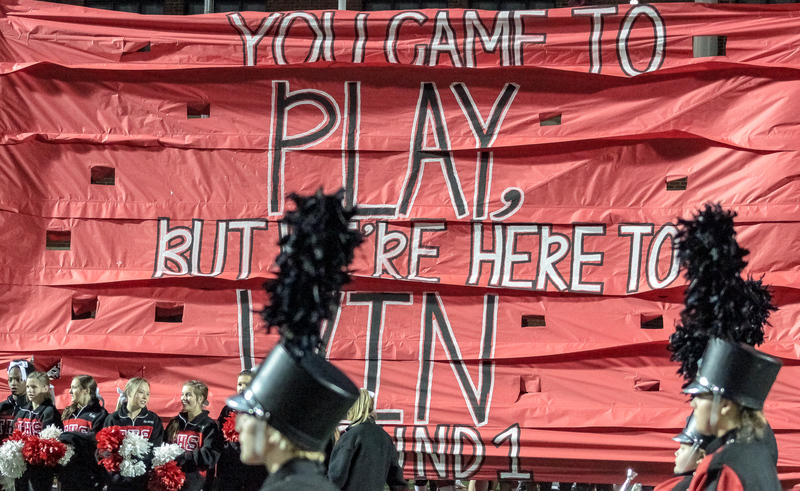 Thompson continues their march to Jordan-Hare next week as they host a rematch with region 3 rival Hewitt-Trussville Friday night at Warrior Stadium. 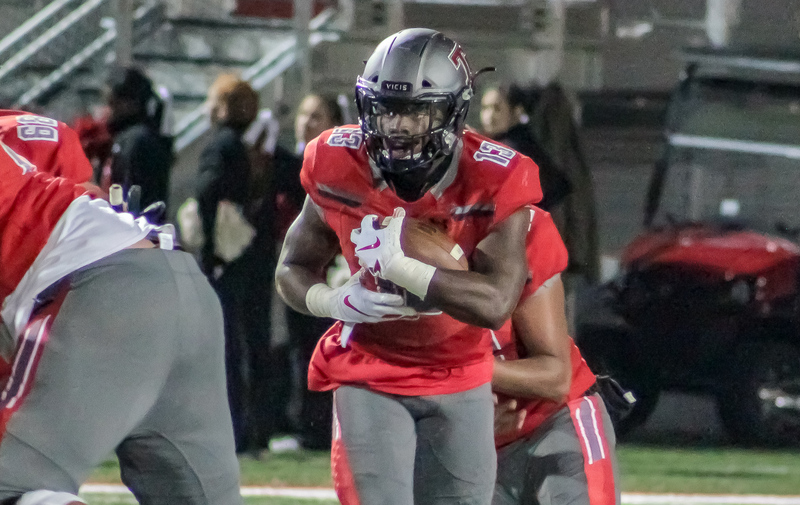 The Warriors beat the Huskies 63-49, in thrilling fashion, in week nine of the regular season.